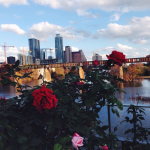 Can you believe it’s taken me this long to do a full Austin City Guide? I was born and raised in this amazing city and visit every chance I get. It doesn’t hurt that I get to stay at my mom’s house. Dreamy! Here’s a list of musts from a local. Stay tuned for more great city guides and travel tips! Click here to check out some of my other recent travel posts. 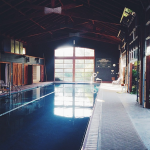 The Hotel San Jose – Location is everything! This revamped motor lodge is situated in a prime location in the heart of South Congress. Walk to dozens of great restaurants, shops and bars. The vibe of the hotel is chill – definitely exudes a casual, hippie vibe with leafy outdoor areas and simple, minimalist design inside. The Driskill – this hotel has been around for years! I’ve been to many a wedding, deb party and other function at this historic downtown spot. Here you’ll find grand, luxurious rooms, a masculine (and very fun) bar, and it’s walking distance to a lot of great nightlife spots as it sits right in the middle of 6th street. Hotel Saint Cecilia – another hip hotel right off the popular SoCo street, Hotel Saint Cecilia is a chic boutique hotel with an air of bohemia. Here you’ll find bright neon signs, colorful and cozy furniture, and plenty of privacy. With only 14 rooms in total, you’ll never have to deal with overcrowding at the pool or a loud situation at the hotel bar (all of the rooms/suites are in separate buildings from the office and lounge area). 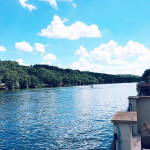 Lake Austin Spa Resort – this special spot is a little off the beaten path (about a 30 minute drive from downtown Austin), but the perfect location if you’re wanting to spend some quality time on Lake Austin. It’s ideal for a getaway with your spouse or a fun spa weekend with the girls. In addition to the award-winning spa, the resort features the most beautiful, cozy cabins looking right out on the lake. Just a few of the resorts amenities include an extensive list of activities and exercise classes, fresh + healthy cuisine by the in-house chef, and not one but THREE pools. They have water bikes (my favorite! 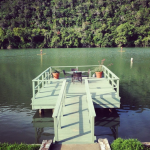 ), kayaks, and SUP boards, in addition to the Resort boat which takes you on a sunset cruise of Lake Austin. Hotel Ella – this boutique hotel is ideal for those hoping to stay near the UT campus. 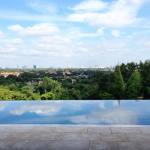 Set within a refurbished manor house, the hotel features a sleek wine bar + restaurant, a pool and a courtyard filled with sculptures by Charles Umlauf. 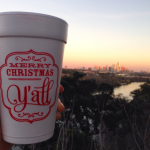 Maudie’s Tex-Mex – only locals know about this joint! This is always the first restaurant on my list whenever I make it back to Austin. If you love Tex-Mex food, Maudie’s is the place to get it. The BEST cheese enchiladas you’ll ever eat, great queso (order it Diablo), and yummy margaritas. If you’re trying to avoid bread products, try Maida’s salad – it’s basically shredded lettuce, tomatoes, and avocado topped with ground beef and queso. SO GOOD. There are also a bunch of lighter options to choose from, so don’t fret if you have a super healthy eater in your family. Their breakfast menu is bomb too! Maudie’s has several locations, but the ones I go to most are the ones on Lake Austin Boulevard and in Davenport Village. Perla’s – if you’re on the hunt for fresh seafood or oysters, look no further than Perla’s on South Congress. The restaurant itself is fairly small, however they have a giant outdoor patio which is perfect for those cooler spring evenings. In addition to heartier plates like cornmeal fried oysters and lobster rolls, they also offer a wide selection of fresh and simple seafood dishes on the lighter side. One part of the meal you can’t skimp on? Dessert. If you don’t order the Salted Caramel Pot de Creme, you’ll be very sorry. It’s one of the best desserts I’ve ever had in my entire life. PS – they also have brunch on the weekends! Elizabeth Street – whenever I’m craving a bowl of noodles – which, let’s face it, is always – I head over to Elizabeth Street on South 1st. This Vietnamese-French cuisine bistro sits in a colorful little house right next to a few food trucks. 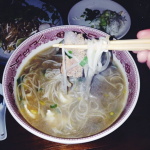 The menu features everything from Pho to Bahn Mi to Drunken Noodles. They also have a brunch menu, which I have yet to try out (but I hear it’s fab)! For dessert, grab a macaron before you go OR walk next door to the food trucks and stand in line at Gourdough’s for a sensational donut experience. You can thank me later. 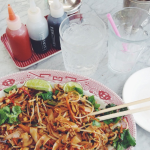 PS – if you can’t get into Elizabeth Street, walk across the street to Sway for delicious Thai food. Vespaio – this Austin restaurant has been around since 1998, but for some reason I missed it until I was home for Christmas this year! You’d be hard pressed to find a better spaghetti carbonara anywhere else in the United States – the only thing better would be to eat it in Italy. It’s a great spot for date night, with a cozy atmosphere, an enormous wine list, and lots of delicious Italian comfort food. Jeffrey’s – another amazing date night dinner can be found at Jeffrey’s. Go early for a drink in their warm, inviting bar before dinner. It’s always pretty packed, so make sure you hit the bar early or make a reservation! Jeffrey’s is known for it’s elegant ambiance and balanced menu showcasing cauliflower soup, an incredible Ceasar, foie gras, and the juiciest steaks. Dress to the nines for this place – it’s a stylish scene! 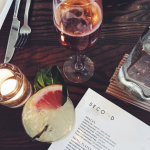 Second Bar & Kitchen – for a more casual dinner or lunch, Second Bar & Kitchen is a fun spot. They’ve got a creative cocktail menu and the food is just as unique and delicious. For a lighter meal, try the shishito peppers to start, then follow it up with the kale and carrot salad. Yum! If you’re feeling a little more glutinous, order the baked brie and the Congress burger. Josephine House – sitting right next to Jeffrey’s, this sister restaurant is an adorable little place to grab a bite with a friend. They’re open for breakfast, lunch and dinner, but also have a delicious brunch menu on the weekend. The atmosphere is bright, simple and chic – the coffee is to die for and the menu is beyond tasty. I ordered the Warm Kale Salad and ate every single bite. Cisco’s – When you need something greasy after a night out (or brunch after church!) head to Cisco’s on East 6th. This hole-in-the-wall has been a favorite of our family (and all of our family friends in Austin) for years! If you order one thing on the menu, make it the biscuits. They serve melted butter and honey in what looks like mustard bottles just for those biscuits. It’s a Tex-Mex menu featuring items like Migas, Huevos Rancheros and Enchiladas. The queso is also very creamy and hard to put down. Don’t miss it! Ranch 616 – if 6th street is your destination, make a reservation for dinner at Ranch616. This spot is right around the corner (literally, you walk 30 feet) from some of my favorite bars on west 6th. Ranch616 houses a South Texas-style menu featuring things like fried frog legs, Jalapeno Maize Chicken, “Divorced Quail”, Fish Tacos and more. This place also has some KILLER Jalapeno and Cheddar biscuits served with honey butter. You can’t not eat ’em. Launderette – There’s really no other way to say it: you need to put Launderette on your list. It’s got all the goods: gorgeous decor, a fun menu and great drinks. If you go for brunch, you MUST order the chocolate chip zucchini bread, served with salted soft butter. OMG. Just do it. Also, it’s a great spot for a birthday dinner – for dessert they offer Birthday Cake ice cream sandwiches… so festive! 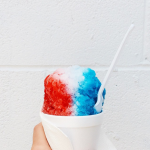 Sno -Beach – this is one stop for all ages. I’ve been going to Sno-Beach since I was a little kid – at one point I even wanted to make snow cones as a profession. Not joking. Ask my mom. Regardless, this is still the best shaved ice I’ve ever had and I’ve come across a lot in my day! So many great flavors too – try wedding cake with cream, green apple topped with caramel, and you can even add a scoop of vanilla ice cream if your heart desires. The possibilities are endless! 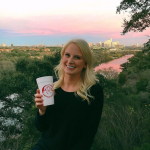 Magnolia Cafe – whether you’re hungry for pancakes at midnight or dying for some queso at 7am, Magnolia Cafe is open 24/7 and has an incredibly extensive menu. Featuring everything from omelets to cheeseburgers, even the pickiest eater will find something they like here. I recommend ordering a bowl of Mag Mud (queso with black beans), – so delicious! 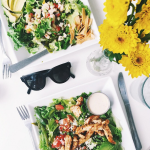 Zocalo Cafe – for fresh, light salads, head to Zocalo Cafe. Right down the way from Josephine House and Jeffrey’s, it’s an airy, light-filled restaurant featuring fresh Mexican cuisine. Great option for a summertime lunch! For shopping, the best one-stop shop is The Domain. Featuring everything from Neiman Marcus to Zara to the Apple Store, this outdoor shopping mall also features a bunch of amazing restaurants and a luxurious movie theater (think blankets, reclining seats and extensive drink + food menus). If you’re looking for a more boutique feel, head down to the 2nd Street District or South Congress. Also, don’t miss By George on North Lamar! On a beautiful day, head to Zilker Park for beach volleyball or walk the Hike & Bike trail. 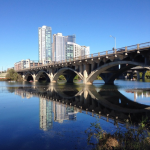 You can also rent kayaks and canoes for splashing around Town Lake! 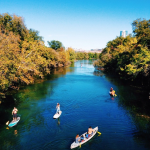 Right across from Zilker Park is Barton Springs – a fresh, cold water spring where you’re likely to find a crowd throughout the summer. The summer heat is notorious, so after laying out in the sun for thirty minutes, a dip in Barton Springs is a welcome treat. Go early and set up towels before the crowds arrive – the lawn gets pretty packed! 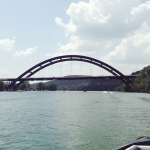 Whether you’re more of a lounger or a water-sports enthusiast, Lake Austin has a lot to offer. Rent a boat and spend the day in Party Cove, or wind around in your skis! For the more active folks, take a hike on Mount Bonnell and get gorgeous views of Austin! 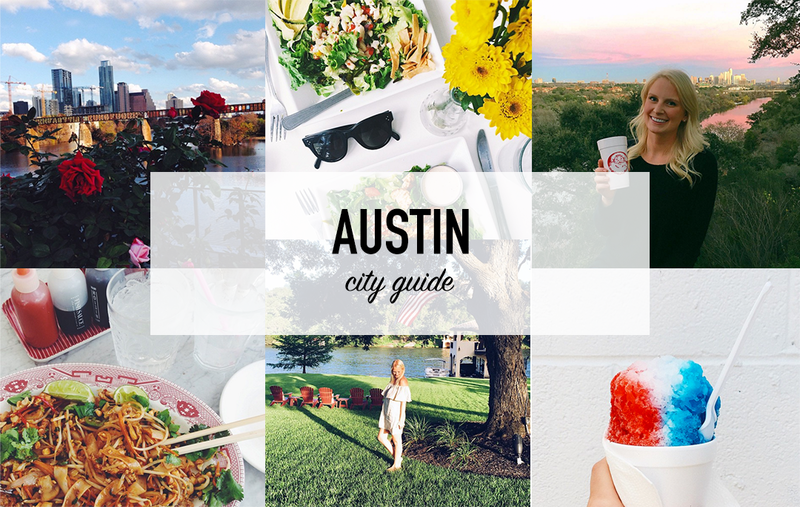 Thanks so much for posting this Austin city guide! I plan on having my bachelorette party in Austin this May and would love any fun restaurant recommendations for our group where we can get dressed up and enjoy delicious food. Great guide, I hope I get to Austin one day! Your photos are beautiful too!